Moreover, he also vowed to not let the attackers go unpunished. 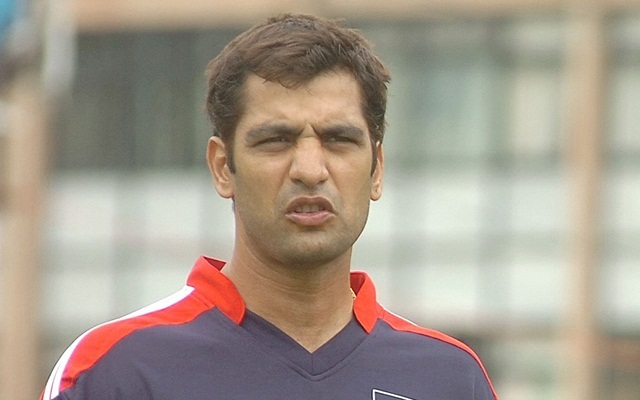 Retired Indian fast bowler Amit Bhandari was recently attacked by goons during the Under-23 team’s trials at the St Stephen’s Ground. The 40-year-old was attacked by a group of unidentified men, and he sustained severe injuries on his head and ear. Subsequently, his colleague Sukhvinder Singh rushed him to the Sant Paramanand Hospital at Civil Lines. Bhandari is the chairman of the Delhi and Districts Cricket Association (DDCA) senior selection committee. Shankar Saini, Delhi’s senior and U-23 team manager, mentioned that around 15 men came with cycle chains, rods, and hockey sticks. He mentioned there was a heated conversation between Bhandari and the two men after which around 15 men attacked him. Even when the other members of the trials came forward to save Bhandari, the men threatened to shoot them as well. As per Saini, Bhandari is shell-shocked by the incident and more developments of the matter will come to the fore when Amit gives his statement to the police. The perpetrators also fled the scene before the cops could reach the stadium. In the meantime, Gautam Gambhir, the former Indian cricketer, who hung his boots from competitive cricket a couple of months ago in December, is deeply saddened to witness such an incident in New Delhi, the capital of India. He also called for banning the player, who is reportedly known as Anuj Dedha, for life. Moreover, he also vowed to not let the people go unpunished.